How could we say no to this one? 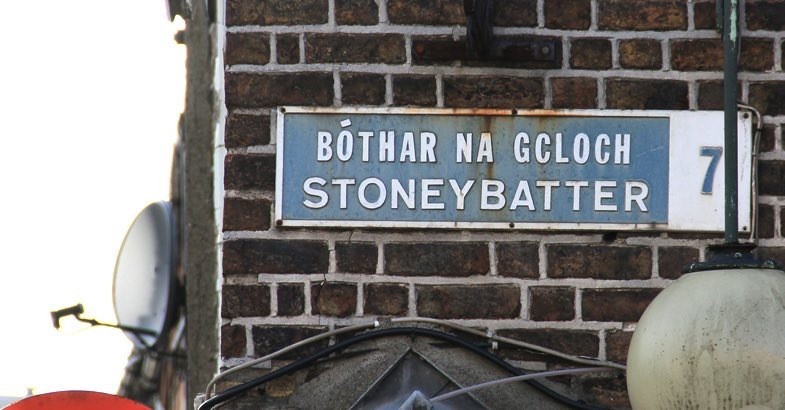 The Stoneybatter Festival takes place across Dublin 7 from Friday June 23 to 25 and they’ve kindly invited Banter to come along to be part of the proceedings. We’ll be joined by Dublin 7 residents Annie Atkins (graphic designer and prop maker extraordinaire for The Grand Budapest Hotel, Bridge Of Spies and many more), Colin Murphy (journalist and playwright The Guarantee, Inside The GPO etc) and Radie Peat (musician and singer with Lankum and Rue). 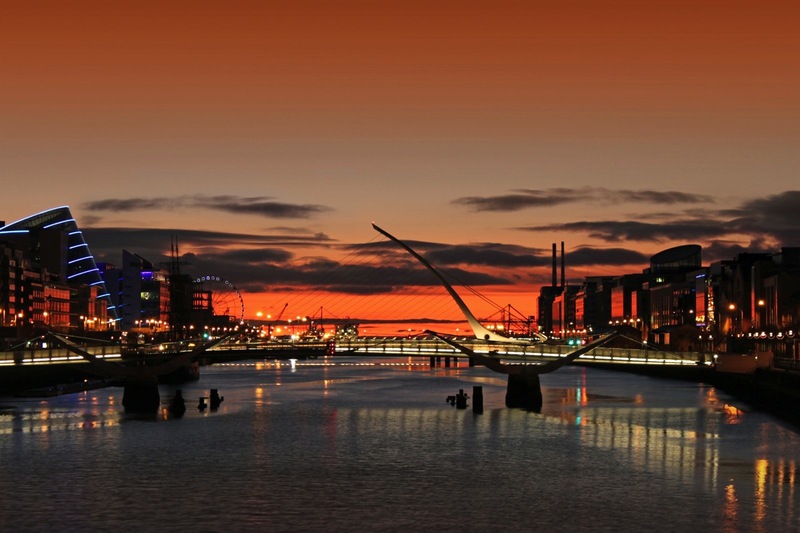 They’ll talk to us about their work, creativity, inspiration and how both historic Dublin and the contemporary city inform what they do. The Banter pow-wow will be followed by the JuJu Club Strikes Back, with Stoneybatter’s own Claire Moloney return to the DJ booth with some tunes alongside Jim Carroll (fresh from the DJ retirement home) and Luke McManus. 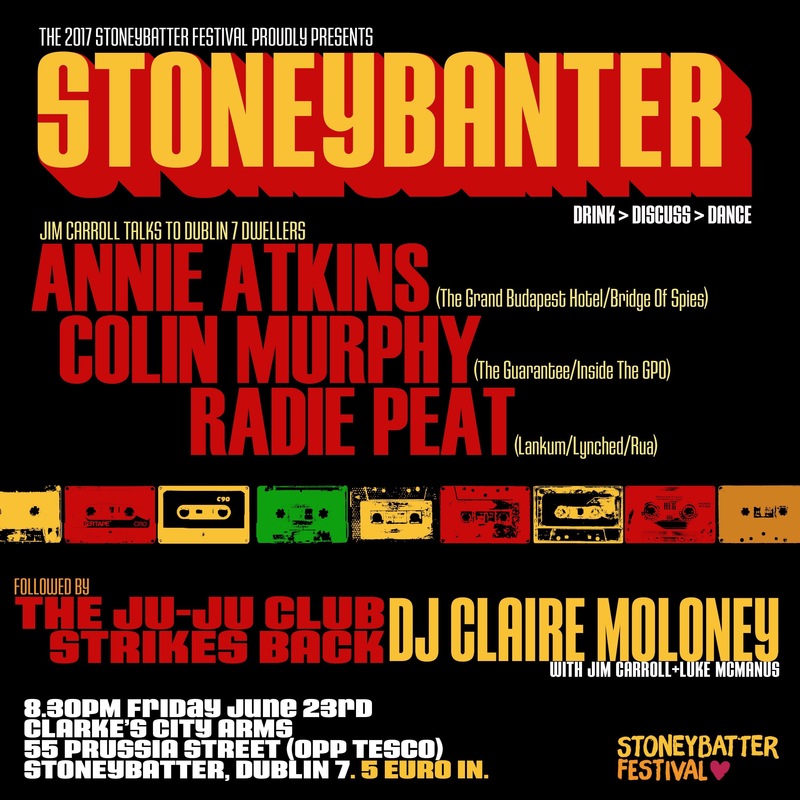 StoneyBanter takes place at the historic Clarke’s City Arms (Prussia Street, Dublin 7) on Friday June 23 from 8.30pm and admission is a fiver on the door. Big, big, big thanks to Luke for all his help with this event.